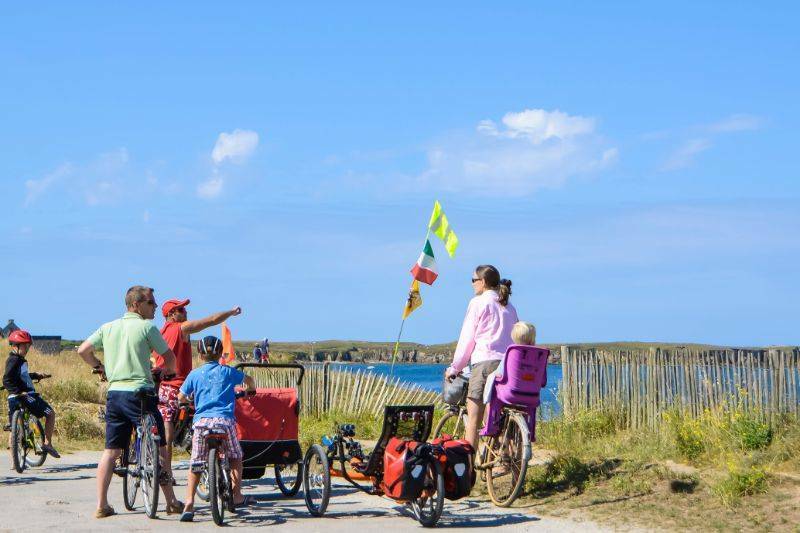 Our campsite is situated next to the Bay of Quiberon, between 10 and 20km. This bay welcomes everyday people who are looking for natural, wild and sea panoramas. 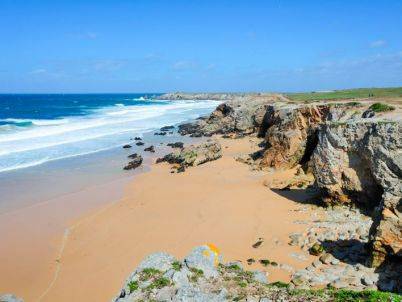 The Peninsula of Quiberon starts with the Isthmus of Penthièvre and shows a lot of wild panoramas. 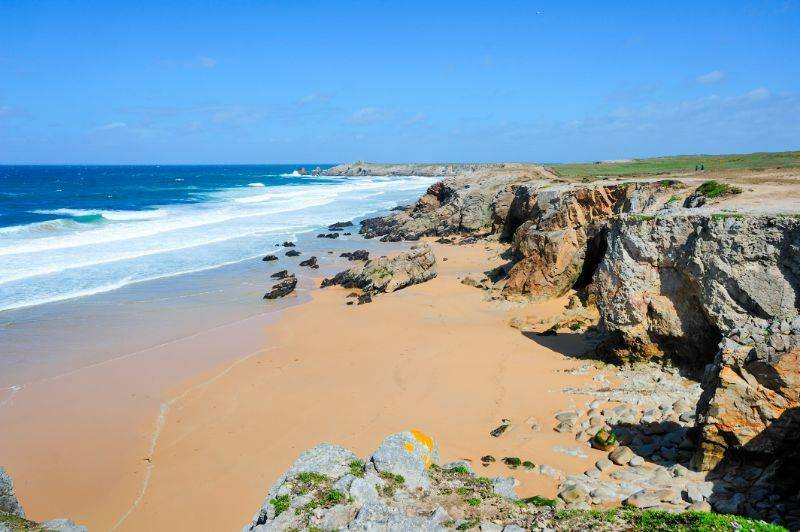 Indeed the Wild coast is 8km long and you will find there a lot of little coves, panoramas and an outstanding natural heritage! 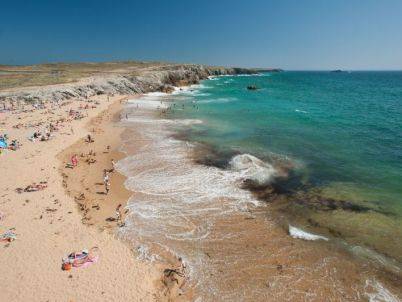 Moreover, the Peninsula of Quiberon is special in the area because it is surrounded both by the Atlantic Ocean on one side and by the bay on the other side. This allows everyone to spend a very nice time on beaches that are sheltered from the wind. Another important thing about Quiberon: this city is the starting point to go to the wild islands of Morbihan! 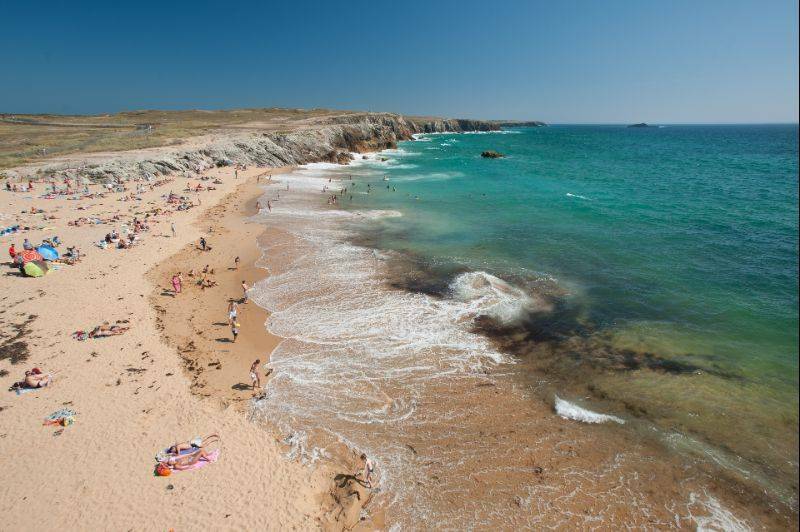 From there you can board for the day and visit Belle-Île-en-Mer, Houat or Hoëdic. More information about those islands ? 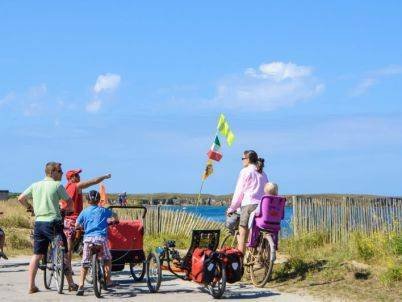 Belle-Île is the biggest island of Brittany and will definitely surprise you with its history and natural sites like the Port-Coton needles or the Vauban Citadel. Houat and Hoëdic are frequently considered as Belle-Île's little sisters. Even though they are both smaller, they will offer you natural panoramas! Walking along the Wild Coast. It is windy? It is even better! We also love having a break at Port d'Orange: this place is intimate, sheltered from the wind and surrounded by little boats full of colours.